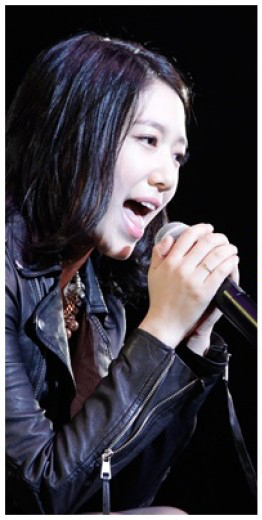 Park Shin Hye held a fan meeting, "City of Angel, Angel's Birth" at Zepp Tokyo in Odaiba at 7:00pm on February 24. There was a diverse of people attending the fan meeting from those in their 40s and 50s to teenage boys and girls. One session of the event was the Ideal World cup that had candidates Shin Hye had co-starred before such as Jung Yong Hwa, Uhm Tae Woong, Ju Sang Wook, Jang Keun Suk, and Lee Hong Ki. These candidates gained the cheers of the fans. While doing this, fans shouted the name of each star they like. Park Shin Hye said fans selected the ideal type for her, not her. In addition, fans had surprised Shin Hye with a birthday party, of cakes and birthday wishes. 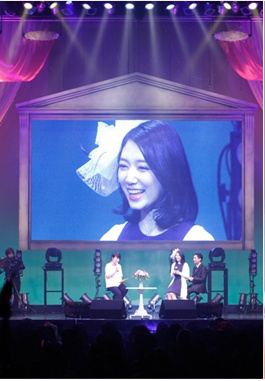 The excitement of the fan meeting continued with Shin Hye singing and playing a guitar for the fans. Her dance performance from Beyonce's song, "Why Don't You Love Me," captured the hearts of the male fans in attendance. Representatives for Shin Hye said they were surprised to see so many fans from different age groups from middle age to a child. They were surprised with all the enthusiasm and cheers from the fans and the number of different countries in attendance other than Japan. Shin Hye said she will strive to become better in the future. when shin hye play drama again? l wish to see Shin-hye in the Movie ,awalys. Love!! She wear the ring!!!! I fell in love with the cutest and the loveliest nun GoMinyu in You're Beautiful. She's overloaded with good qualities I dream for my granddaughter. I like Goo Hye Sun, Kim Tae Hee, and Song Hye Kyo, but Park Shin Hye is my no 1 choice. I don't have time to watch all the dramas, so I decided to watch only dramas with Shin Hye in it. She is so famous Internationally, enough news of hers to keep a granny like me entertained.